An absolute stunner. 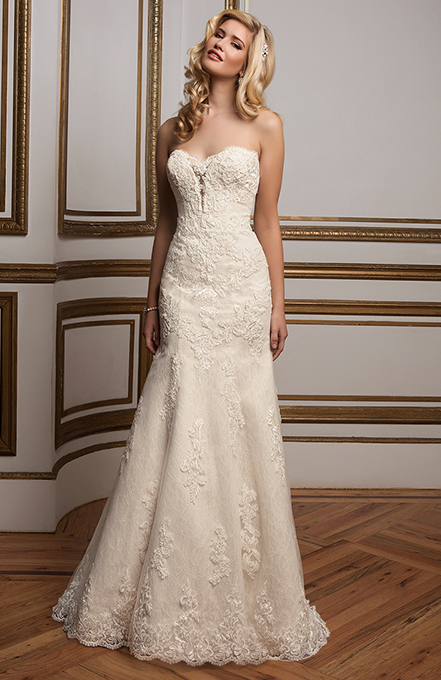 Stopping anyone in their tracks is easy in this gorgeous, full-length mermaid gown of exquisite Venice lace and tulle. A romantic sweetheart neckline is the perfect complement to a sultry low illusion back with crystal buttons along an invisible zipper – ensuring that your entrance will be just as showstopping as your exit.